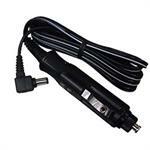 The IC-CP+ is a HEAVY-DUTY DC Power/Charge cord for ICOM & BENDIX-KING radios etc. Thick 16-guage wire construction. One end plugs into radio (plug size is 5.0mm x 2.1mm, center polarity POSITIVE); other end plugs into 12-13.8VDC socket. Powers radio from your Cig. Socket; can also typically slow-charge an attached battery when radio is turned off and socket is live. Fits ICOM radios such as IC-A20, IC-A21, IC-A22, IC-A3, IC-02AT, IC-03AT, IC-04AT, IC-32AT, IC-2GAT, IC-3GAT, IC-4GAT, IC-12GAT, Radio Shack HTX-202, HTX-404, and any other similar radio with a DC input jack (center Positive, with plug size 5.0mm x 2.mm). The #AC-12VDC1A is a Wall-to-Cigarette Plug adapter. 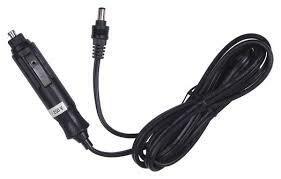 Plugs into wall (120VAC); provides a 12VDC cigarette plug socket. 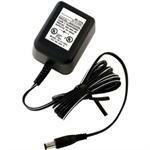 Enables you to use most mobile power supplies from a wall outlet! Output: 12VDC @ 1000mA.